Posted on Sun, Nov 15, 2009 : 6 a.m. Borders Group Inc., the beleaguered Ann Arbor-based bookstore chain, managed to survive the peak of the global financial crisis due to aggressive cost-cutting and cash conservation. 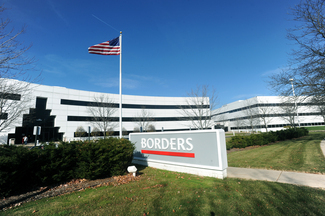 More than 800 people work at Borders' headquarters on Phoenix Drive in Ann Arbor. But the 2009 holiday shopping season will serve as a litmus test for Borders’ long-term strategy as the book industry braces for an intense price war and as technology influences consumers’ buying habits. That follows last year's financial crisis, when Borders edged perilously close to disaster as sales plummeted and its cash dried up, analysts said. The risk of Borders liquidating has declined, but the company now faces the long-term realities of the bookstore industry’s shaky future. Ann Arbor, the birthplace of Borders, has a vested interest in Borders’ survival. The $3 billion company employs some 895 workers at its corporate office in Ann Arbor’s Research Park and at local retail stores. The firm, which has 25,000 employees globally and 515 superstores, eliminated 526 corporate jobs and 742 retail positions in 2008 and 2009. That doesn’t include 1,500 retail job cuts announced this month as Borders slashes its mall-based Waldenbooks chain from 330 stores to 130. That proposed list of closures includes the Borders Express store in Ann Arbor’s Briarwood Mall. The cuts come as Borders’ sales continue to suffer. The company lost $45.5 million during the second quarter as same-store sales dipped 17.9 percent from the comparable period in 2008. Competitor Barnes & Noble’s same-store sales dropped 6.9 percent for the same period, yet the company reported a profit of $12.3 million during the quarter. The losses are disappointing, but Borders' aggressive cost-cutting gives investors cautious optimism. The latest financial report “showed a company on the right track and now well positioned to survive,” wrote Credit Suisse analyst Gary Balter in a recent report. But Borders now faces “perhaps the most difficult challenge of driving profitable sales in a tough sector and a weak macro environment,” Balter wrote. Borders executives declined to comment for this story. -An intense price war that levies an abrasive effect on bookstore chains. Wal-Mart, Amazon.com and Target are driving down the price of some major books through aggressive online sales strategies during the holiday season. 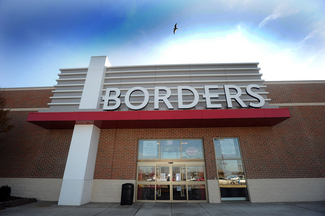 Borders faces an intense price war. The company's concept store on Lohr Road in Pittsfield Township is pictured here. -A Web presence widely considered inferior to its competitors. Borders in early 2008 abandoned its long-time sales partnership with Amazon in favor of establishing its own site, Borders.com. Borders, which has previously acknowledged the site’s challenges, declined to provide sales figures for Borders.com. -A tough economy for retailers, defined by 10.2 percent national unemployment, not to mention 15.3 percent in Michigan. In 2008, book sales declined 1.5 percent to 3.1 billion units, according to a report from the Book Industry Study Group. -An ill-defined strategy to compete in the growing e-book segment. Borders’ partnership with Sony’s e-reader unit has elicited noticeably less publicity than Amazon’s Kindle and Barnes & Noble’s new “Nook” e-reader. Retailers are expected to sell 3 million e-readers in 2009, including 900,000 this holiday season, according to an Oct. 7 report from Forrester Research. Sales are projected to double in 2010. Upheaval in the company’s leadership - including the Jan. 5 firing of CEO George Jones - has led to some positive steps, analysts said. One move that drew praise: reducing its focus on sales of movies and music. Borders has slashed its music and DVD inventory by 50 percent. The company is filling some of that space by increasing its space devoted to children’s products by 20 percent. Borders’ stock plummeted to a 52-week low of 35 cents in the stock market doldrums of early 2009. Shares hovered around $2 last week - giving it a market value of about $110 million - as investors remain wary of the company’s future in the tumultuous book market. The company will report its third-quarter sales on Nov. 24. Borders’ largest shareholder, New York-based $1.6 billion hedge fund Pershing Square Capital Management, owns a 17.6 percent stake, according to data from CNBC. Pershing CEO William Ackman, through a spokeswoman, declined to comment for this story. A representative from UBS Securities, which owns 5.3 percent of Borders, also declined to comment. Sullivan suggested that Ackman would not allow Borders to liquidate if its financial picture deteriorates significantly. Ackman could choose to acquire additional shares, convince shareholders to take the company private and reorganize Borders. Contact AnnArbor.com’s Nathan Bomey at (734) 623-2587 or nathanbomey@annarbor.com. You can also follow him on Twitter. Sun, Nov 15, 2009 : 8:33 p.m.
One thing I also meant to mention in this story: Joshua Colvin, the Ypsilanti resident I spoke to outside the Borders on Lohr Road, had just bought a book there. A coupon enticed him. He usually shops at Amazon. Sun, Nov 15, 2009 : 4:13 p.m.
What Ackman has in it is a pittance compared with all the money he made in the past couple years shorting bank stocks, the dollar, and whatever else. He won't throw money down a rat hole forever. If I worked there, I would be looking for a new job ASAP.